Another press photo of the unannounced Samsung Galaxy S6 Active made the rounds on Twitter, once again courtesy of @evleaks. The rugged variant of Samsung Galaxy S6 is expected to debut in the immediate future. This time around, the upcoming smartphone makes an appearance in a black color scheme, which we’ve seen in the past. The black color is significantly more understated than the camouflage patterns from last month’s leak. Once again, the upcoming rugged smartphone makes an appearance with AT&T branding on its back. Like last year, the wireless carrier heavyweight will likely offer the device exclusively at launch. Sporting the model number SM-G890A, Samsung Galaxy S6 Active is said to pack a generous 3,500mAh battery. The latter is significantly larger than the 2,600mAh unit of the SM-G920. 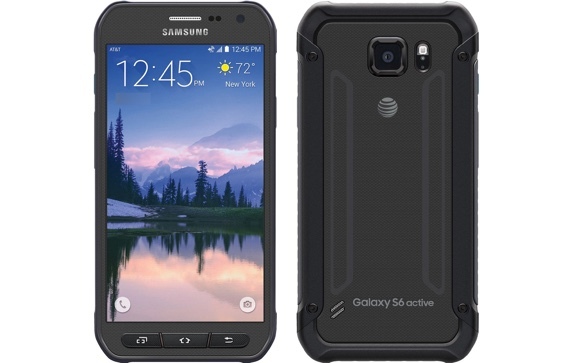 Battery capacity aside, we can reasonably expect that Samsung Galaxy S6 Active will keep the same top notch specs as the Galaxy S6. They include 14nm Exynos 7420 SoC, 5.1” QHD Super AMOLED display, 16MP main camera, and 5MP front-facing unit. so u dont get the concept of ruged right?. . .
Why wouldn't Samsung make a phone that wouldn't scare the kids away with it's ugliness.